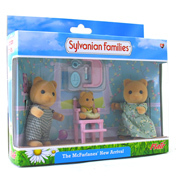 Complete your Sylvanian Families collection with some adorable Family Life figures. 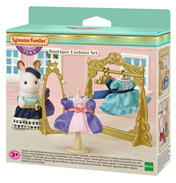 Within this shelf you will find an assortment of figures that will finish the look of you Sylvanian dolls house. From a tiny baby, right through to grandma and grandpa. 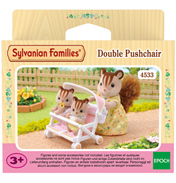 If a baby is on the way in the Sylvania household then you’re going to need a nursery! 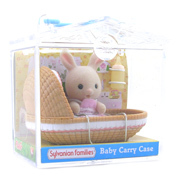 The Babies at Home Set would be the perfect addition as it includes a cot, mobile and a little slide; everything youngster will ever need! 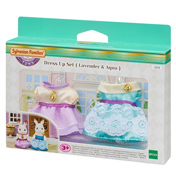 When there’s a Birthday you’ll need the Birthday Party Set. 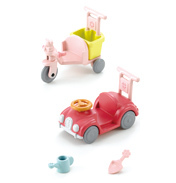 There’s an assortment of pieces included to get the party started, including cake, balloons, presents, party bags and much more! 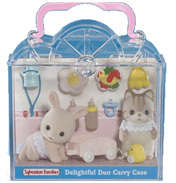 It even comes with 2 figures so you’re ready to go straight from the box! 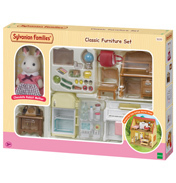 Whether you’re a Sylvanian Families fan, or a collector, you’re sure to find something on the ‘Family Life’ shelf.